Day 1 Boston/Cape Cod: Collect your hire car and drive southeast out of the city towards the beautiful crescent-shaped Cape Cod peninsula. Fringed with 400 miles of unspoilt beaches, genteel towns, quaint villages and charming lighthouses, there's much to see and do. Day 2 Cape Cod: Each town has its own distinct personality, so try and explore as many as you can! Hyannis, the busy hub of Cape Cod, is a favourite with sailors and also famous as the home of the Kennedy clan. From Hyannis, it's also just a short ferry ride to nearby Nantucket or Martha's Vineyard. Seaside Chatham is a classic New England town with a picturesque lighthouse, superb beaches and village green bandstand. Attractive Sandwich has long beaches, museums and antique shops; Falmouth has a lively music, art and theatre scene and is also popular as a beach resort and for watersports; while Provincetown, at the tip of the peninsula, is home to an array of museums and art galleries plus has plenty of beaches and miles of walking or cycling paths. 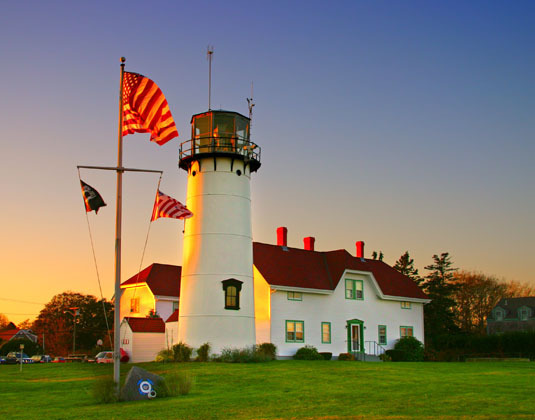 Day 3 Cape Cod: If you're not content to stroll around towns and villages, laze on the glorious beaches or follow one of the walking trails, why not take a boat trip to spot whales or other sea life. Various boat tours depart from a variety of harbours along the Cape Cod peninsula. Day 4 Cape Cod/Boston: All too soon, it's time to return to the city where your side trip concludes. Alternatively, why not extend your stay and explore more of New England? Accommodation: At either Cape Codder, Hyannis; Sea Crest Beach, Falmouth or Dan'l Webster Inn, Sandwich. Tour price: The price shown is based on the best value travel dates in low season and includes accommodation as highlighted and 4 days fully inclusive compact 4 door car hire.